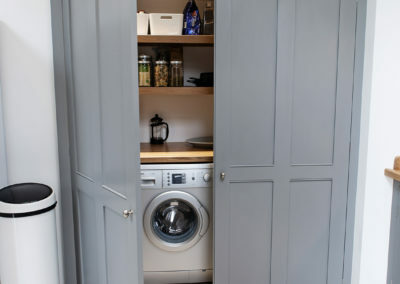 A design which works with rather than against the space available. 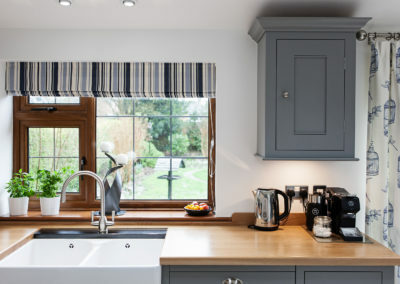 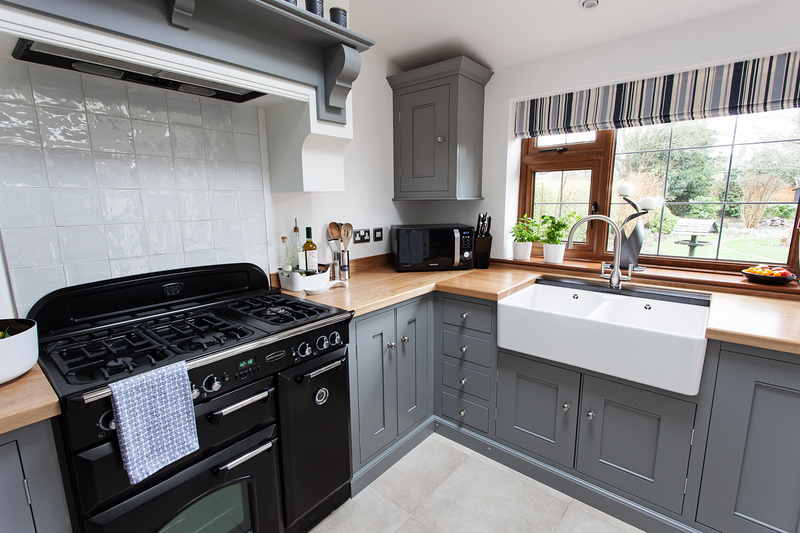 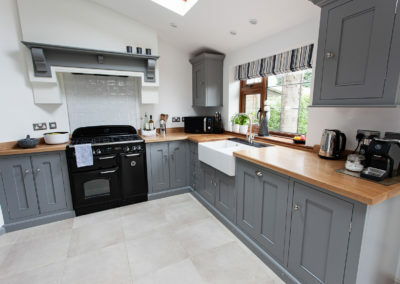 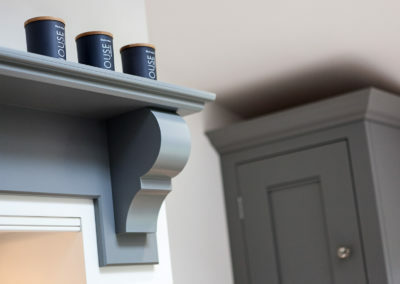 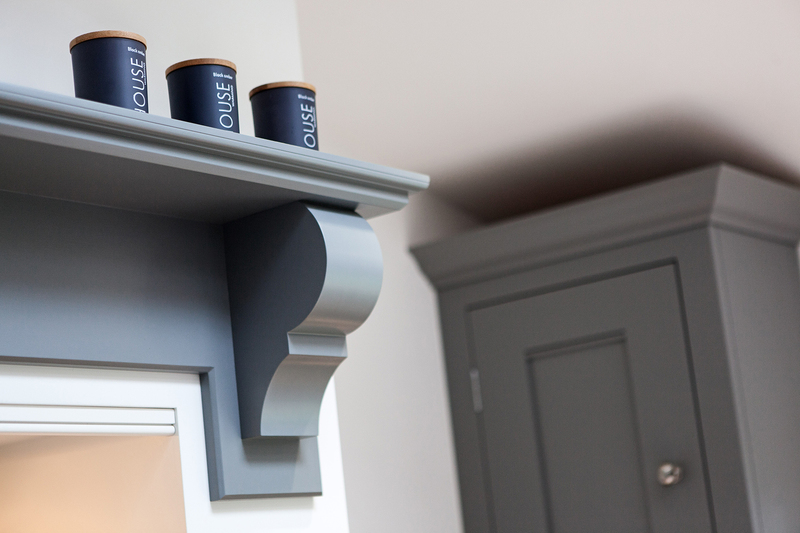 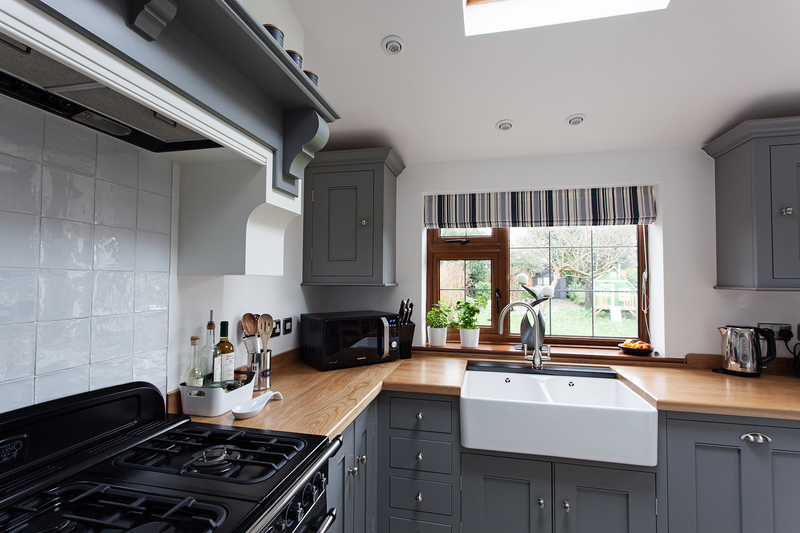 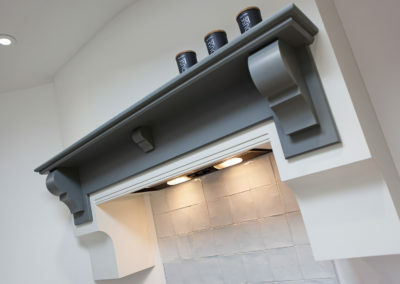 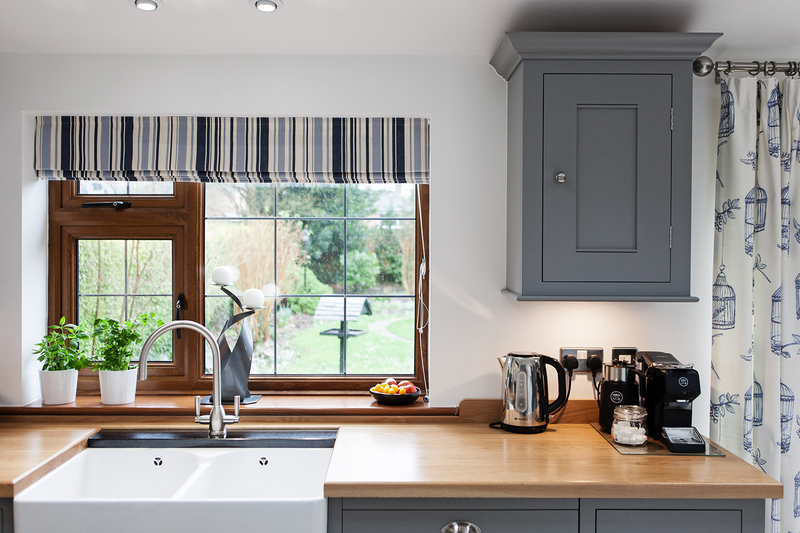 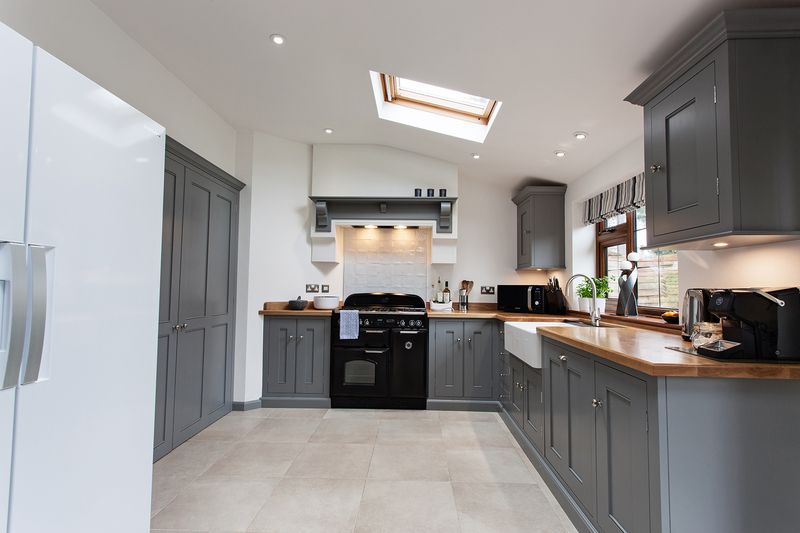 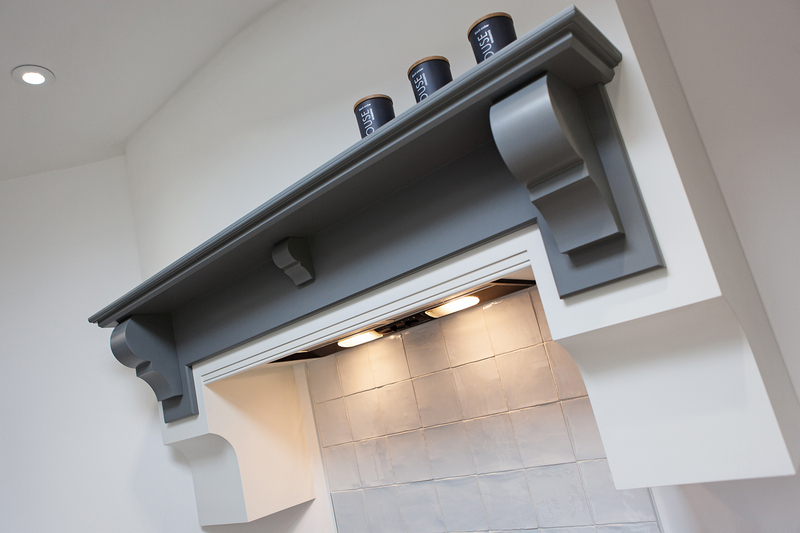 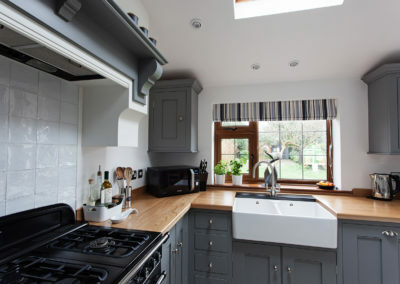 The white faux chimney breast complete with a traditional style over-mantle works to open up the cooking area whilst the wooden worktops add a touch of warmth to the room, complimented by the sleek grey cupboards which help add a contemporary flare. 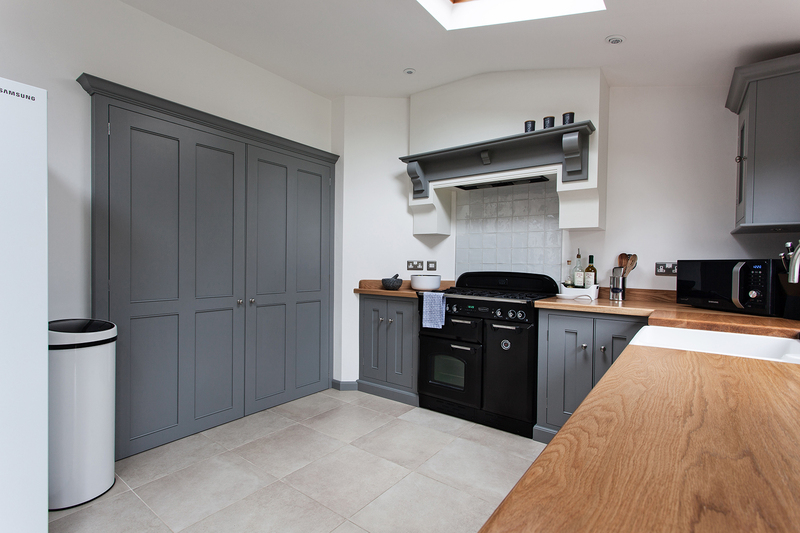 The slim-line wall cupboards once again create a sense of space whilst the new grey utility cupboard doors transform a vital storage space, making it part of the kitchen itself. 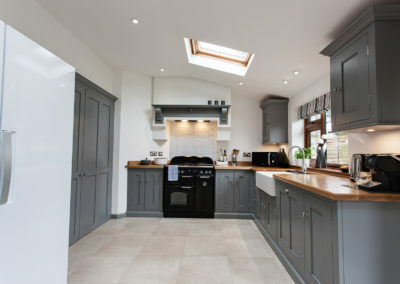 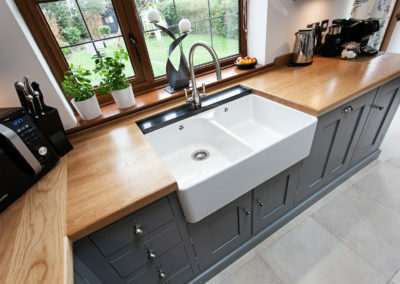 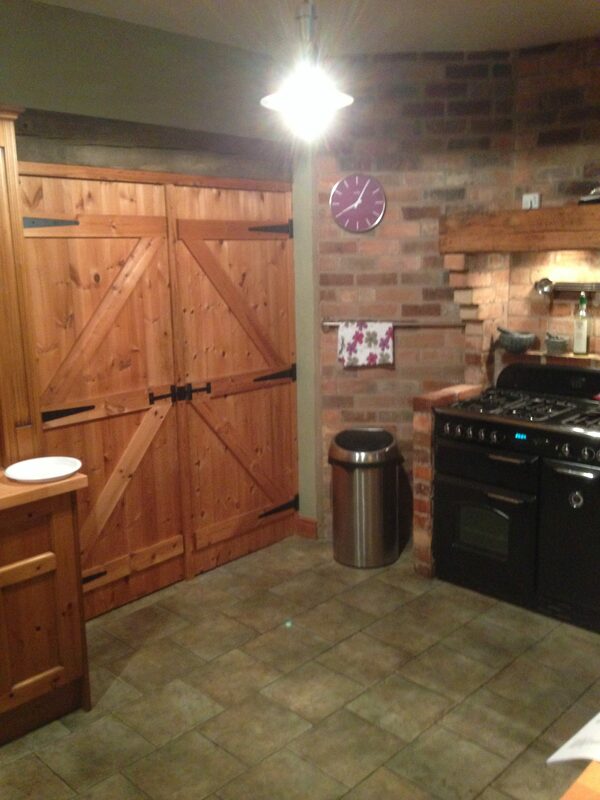 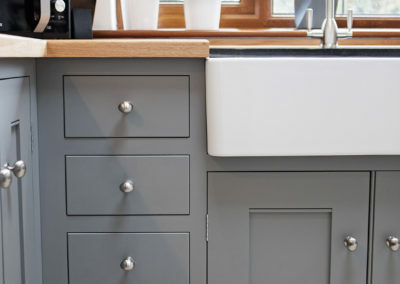 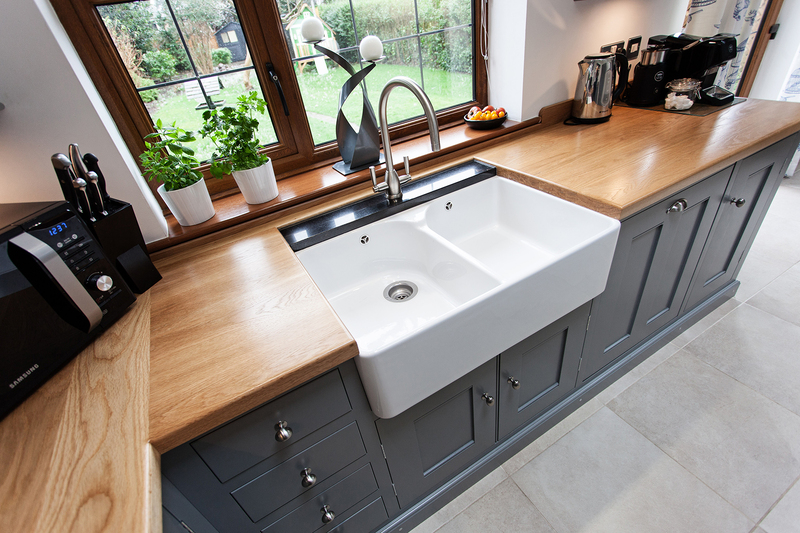 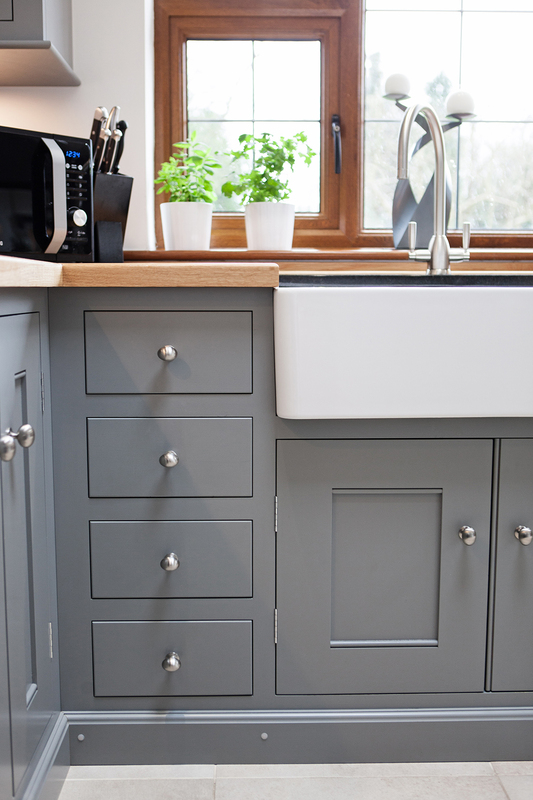 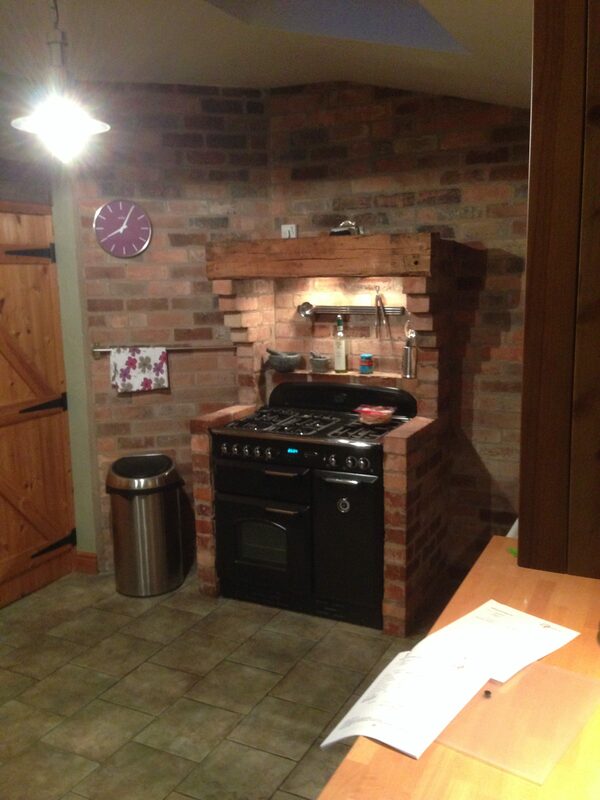 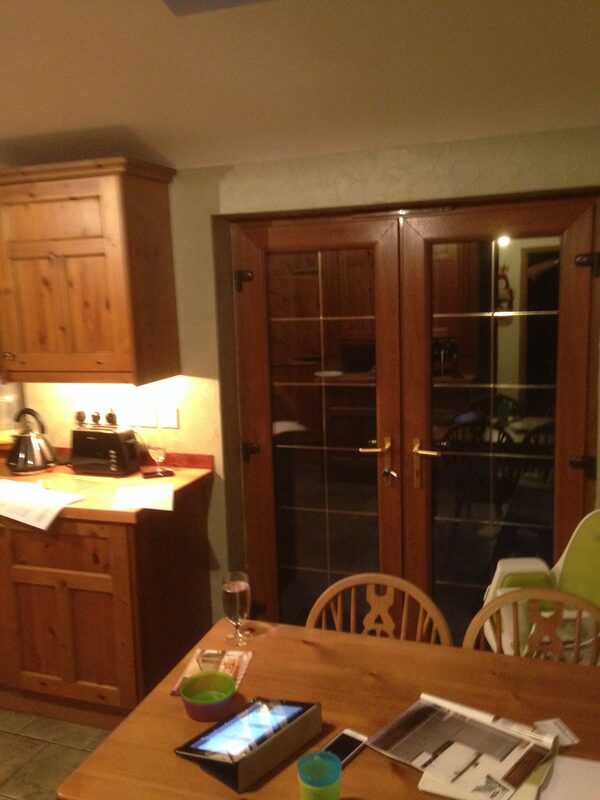 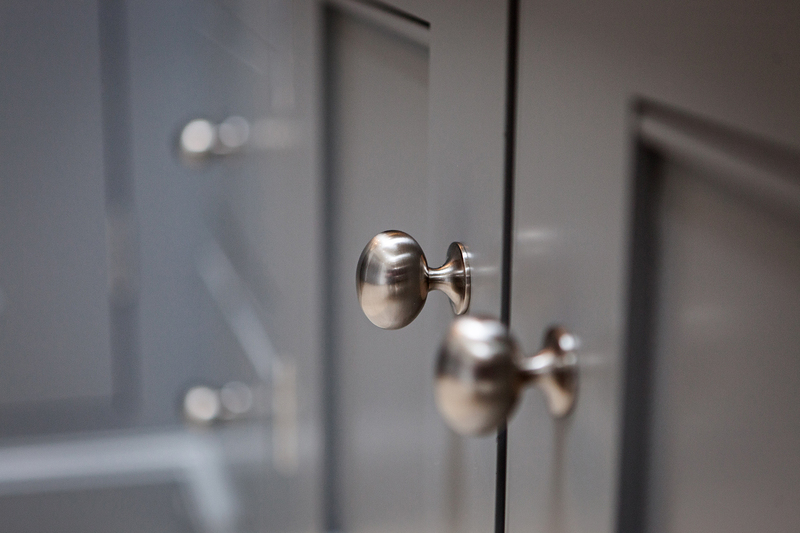 James has just completed our bespoke kitchen and the result has surpassed our expectations. 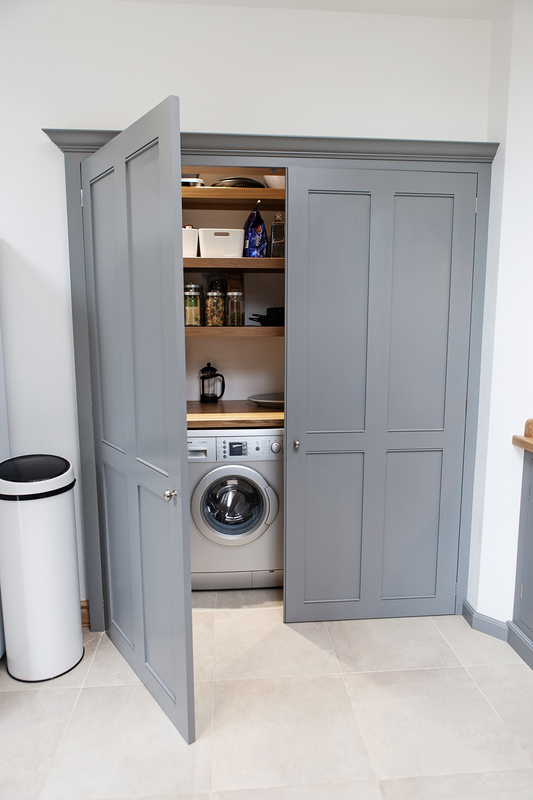 From the moment we met James we felt assured he understood how we wanted to use the space and presented some creative solutions to challenging spaces/problems. 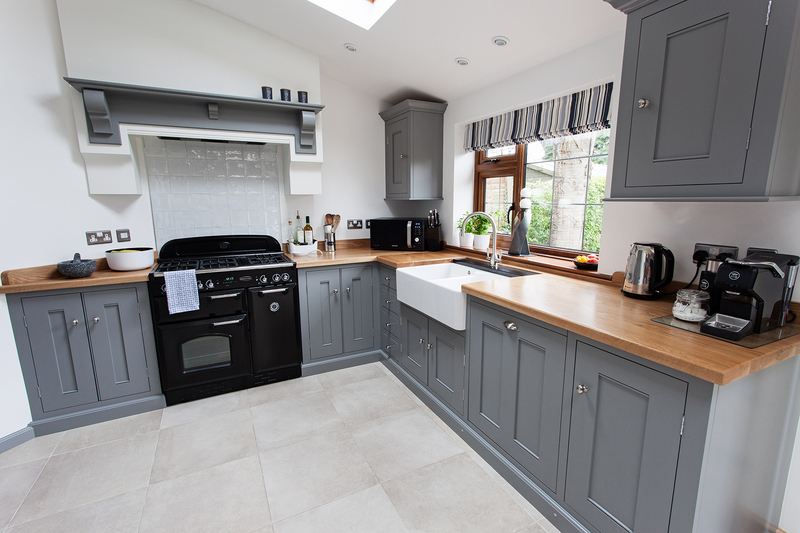 Throughout, from design through to delivery, he was communicative and responsive to our needs. 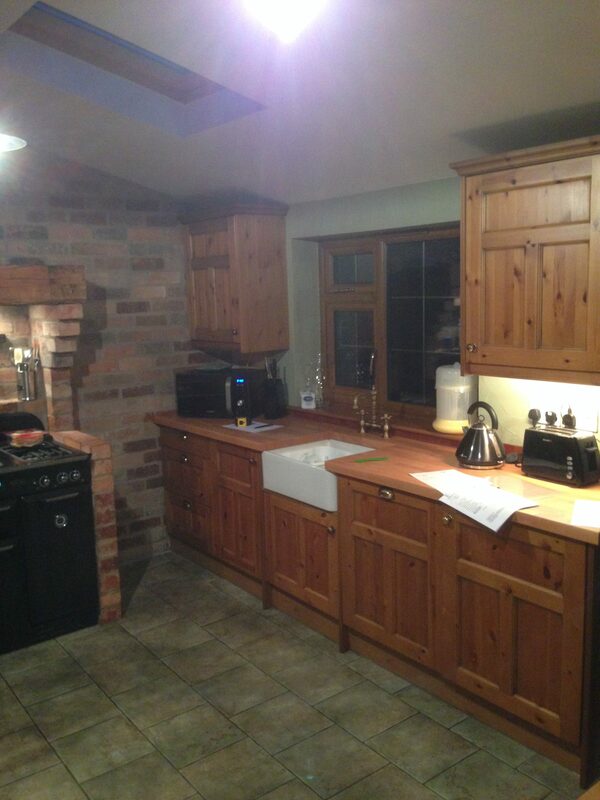 The quality of his work is exceptional and we would not hesitate in recommending him. 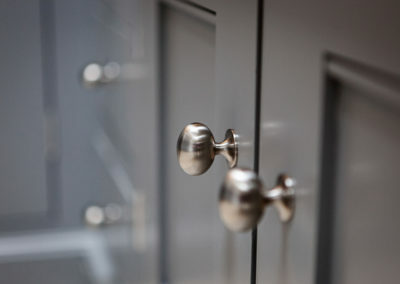 My husband and I have already started a list of potential projects to discuss with James.